I usually just use FamilyFunds at the start so I can buy the house I want them to have. Motherlode and kaching I used to use a lot...but then I discovered freerealestate(insert meme here) and moveobjects, so. The others listed I don't really use. But I loooove moveobjects. I don't get as crazy with it as some do since I'm not that skilled, but it's nice to be able to put stuff against the wall or more than one object on a counter. 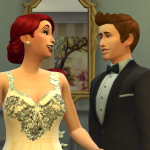 I chose family funds because I love giving my Sims family a ton of money in one go. I also love the move objects cheat, I was able to make my Sims a rooftop beach with that.